Camping Venezia är en camping i Mestre, Venedig. Campingen har platser med stängsel, med skugga och platser med lite skugga. Det finns möjlighet att hyra bungalows. På campingen finns en lekplats. Vem vill inte efter en hård dag slappna av i en sauna och en jacuzzi. Campingen förfogar över ett uppvärmt inomhusbad. Denna inspektör gör varje år ett besök på Camping Venezia och inspekterar campingen för ca 200 faciliteter och för andra förekommande punkter. Inspektören är en medarbetare från ACSI och arbetar inte för campingen. Fantastic campsite. Very clean with modern bathroom facilities with separate toilet/shower/basin cubicles - all cleaned regularly. 5 min walk to bus into Venice. Food and drinks very reasonably priced. Highly recommended! Campsite very easy to find and super easy access to Venice. (Bus just a 5-10 min walk) -bus is always packed though so be prepared to squish!! Friendly reception people who are willing to help. And speak great English! Clean toilets and bathrooms. They were heated though which after a shower gets a bit much. Heaps of leaves fell on car in camp pitch but that’s no ones fault haha. Washing machine and dryer super good also. Definitely a great place to stay!! While a little tricky to find the access off the roundabout, this place is definitely worth the effort to get here! The reception staff is lovely and the site is very flat and accessible for RVs with a nice cool sea breeze blowing through. Toilet facilities and sani-station are the best we've seen over our two weeks and don't expect to see any better. Very quiet and secure site. Access to Venice is very easy. Site excellent for getting into city. Local bus just outside camp, across dual carriageway (up & over stairway/bridge). Toilet/shower facilities excellent very clean, lovely hot water, big showers cubicles with plenty hanging space. Swimming pool ok, but not busy season so was fairly quiet, but think could be busy at high season. New trees planted in between pitches, so not fully grown so separation quite open! More shady pitches than open, so could be very warm in high season out of shade. Just used shop for fresh bread, very good, but prices looked average. Meal price & menu in restaurant looked ok.
Amazing campsite! Cannot say enough great things about it. Beautiful large pitches with grass and hedges. Oh and no noisy bar every night! So peaceful and only 10 mins on the bus to beautiful Venice. Lovely spacious restrooms, big washing machines and we were allowed to put up a line to dry clothes. Staff so helpful and informative. The pool was lovely for the kids also. Small shop with essentials, nice restaurant. Our kids did not want to leave!! Would not hesitate to recommend this site to everyone! This is a lovely site set in Mestre the mainland of Venice. It is perfect for visiting the sites of the Venetian Lagoon, the bus stop being only metres from the site that gets you onto Venice within 10 minutes. The site itself is perfectly clean with really good, clean sanitary facilities and so quiet even though it is in a city. Supermarkets are just around the corner. The only downside is that you need to pay extra to use the swimming pool otherwise a perfect site. We have just had two days here whilst visiting Venice. Our 8.4m motorhome was accommodated on most of the pitches with room to spare. Access, so difficult in many other site we have stayed in, was a dream. Motorhome service facilities were excellent. Reception staff were all superb and ensured we travelled to and fro without mishap, giving us an excellent printed map showing bus, vaporetto and basic city layout. The bus was 200m with frequent services. We ate at the basic bar twice and received fair value and quality. We are quite discerning and would definitely stay here again out of season. The good: Restrooms nice and clean ,washer and dryer nice too, nice clean station for the rv. average per night 50 euros for a family of 4 . very close to Venice 1 bus stop. Although we only stayed here one night we would visit again. It is ideal for a stopover as only a 10 minute bus ride return to Venice, very easy to locate there and back. The pool is a let down, especially as a lot of unsupervised children are left to their own devices.l, not forgetting you have to pay to use the pool!! The pitches for campervans are quite close together, much smaller than others we have stayed in, access is easy however. On site shop was minimalistic. Can't comment on entertainment or sports facilities, however I couldn't say I would stop here again. Spent three nights here. An excellent site from which to visit Venice. Bus to city in close proximity. Camp cleanliness and facilities second to none. Would definitely recommend. Vill du boka Camping Venezia eller få mera information? Det går bra med nedanstående uppgifter. 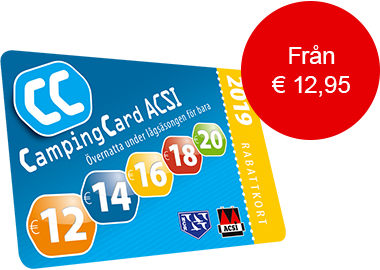 ACSI Eurocampings skickar din informationsförfrågan till "Camping Venezia".